Melinda Clarke is an accidental activist who began marching to her own tune after the Three Mile Island incident in 1979. Having lived in Japan in 1964, she had a calling to move back. 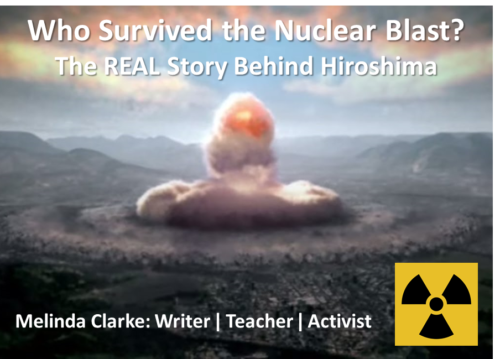 Not long after she arrived, Clarke took on a prophecy-fulfilling side project: She started interviewing survivors of the atomic blast in Hiroshima. As she recorded the survivors’ stories, Clarke says her worldview shifted and it wasn’t long before she became a passionate advocate for peace. Melinda Clarke inspires others to live a life of peace and purpose. She has walked the Shikoku Pilgrimage route three times since 2014 — and she’s not ruling out more pilgrimages in the years to come. ● Her essay and express her hope that the next generation that can end war by adhering to the Kellogg-Briand Pact.